In one of his more recent films, Jason Statham tries out a more dramatic role. While his performance was terrific, this slow moving film leaves a lot to be desired. Joey (Jason Statham) is a war veteran who has returned to a London that is no longer his home. Falling on hard times, Joey is one of a group of homeless drug addicts, that are being terrorized by a group of thugs. While fleeing from another beating, Joey finds a seemingly abandoned, upscale apartment, and sees it as a chance to get back on his feet. The story was interesting, but it moves at a snails pace and is somewhat unbelievable. Statham pretends to be friends with the man who owns the apartment and the neighbors never question it. The film is further harmed by Joey's love interest, who just happens to be a nun. It was a very strange dynamic. Jason Statham was terrific, as a guy who was leading two lives. At one point he's this addict, trying to protect his girlfriend and at another, he's a mob enforcer, doing what he must to find and save her. The character of the nun, while performed admirably by newcomer Agata Buzek, really complicates the story. It was a semi-interesting twist, but it really takes the movie off course for extended periods of time, slowing the film to a halt. 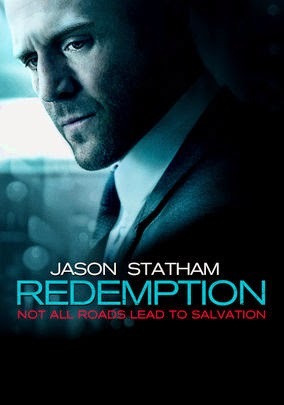 I'm a big Jason Statham fan and will watch anything he does, but if I were making recommendations on which of his film to watch, Redemption sadly wouldn't make the cut.